On Wednesday I was invited, along with many other Australian bloggers, to the @kleenexmums "Pin To Make A Difference" event, a first campaign of its kind in Australia. The morning centred around a competition on Pinterest that required us bloggers to pin images related to making the home more sustainable, including tips for the home and garden and recycled craft in the home. You can view all the pins from the event on Kleenex Australia's Pinterest board here and my tips are here. I was delighted to have been invited to attend by Social@Ogilivy as sustainability is pretty close to my heart - with my "country life in the city" blog, my vintage furniture makeovers and my previous environmental work in Energy Efficiency with Blacktown Solar Cities, Woonona Bulli Home Energy Challenge and Big Switch Projects. I took along my friend Jen who tweets at @CoffeeMumSwims and blogs about her ocean swimming and coffee addiction at Espresso Snaps. It was a good morning to mingle with some other Aussie bloggers - Darren Rowse from Problogger, Sarah from A Beach Cottage, Caz from Mojito Mother and Kate from PickleBums to name a few. The day was big on Twitter and actually #pin4good trended so I've put this recount together from tweets from the day. #pin4good great day. Thanks @kleenex . Fun day. It was lovely to meet Sarah from A Beach Cottage, we chatted about the pros and cons of running adverts of your blog as well as our love for up-cycling vintage furniture. Melissa Doyle from Channel 7 Sunrise hosted the event. She's looking very beautiful, especially as she gets up at 3am everyday! 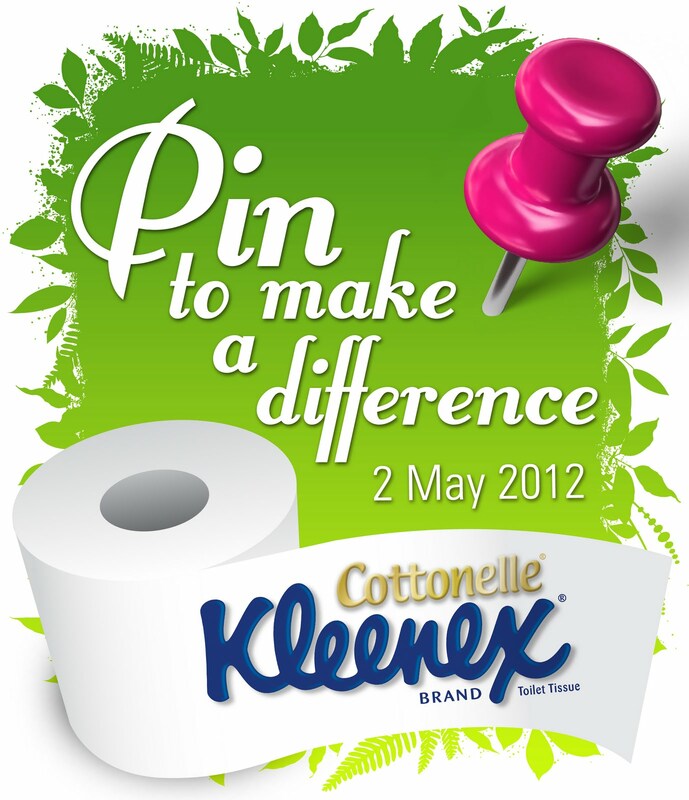 What an amazing use of #Pinterest is #pin4good Tweet us the best sustainability tips you are getting from it! #pin4good @kleenex Puppy takes the tram home to Lilyfield. My dog is not so sure about the new addition, Kleenex puppy . LOL. Thanks @kleenexmums the puppies are very well settled! So all in all, a fun day out and now we have an enormous stuffed toy! I also won a dinner voucher to a sustainable restaurant and a game of WWF Jungle Jenga. A couple of journalists who were there liked my blog and furniture, and said they'd contact me, so we'll see where that leads. Thanks for coming Fiona! Brilliant day. Hope you enjoy the giant Kleenex Cottonelle Puppy! Thanks Mel, you guys sure now how to put on a good function!